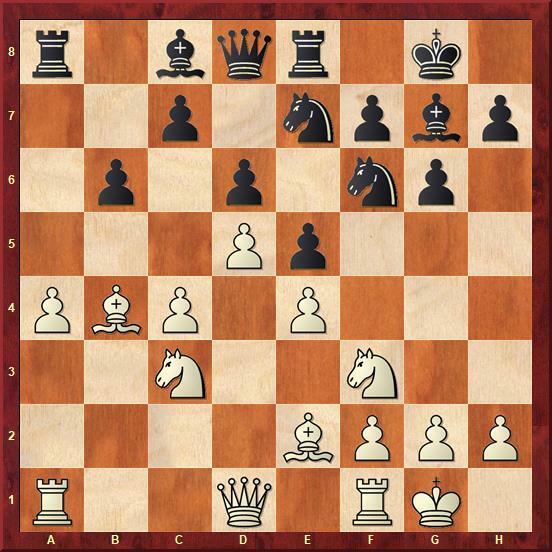 In his first database for Modern Chess, the Dutch GM Sipke Ernst examines one of the most topical weapons against the King's Indian Defence - Bayonet Attack. The fact that this system is the most principled way to fight the KID makes it popular even at the highest level. The idea behind this move is simple: White gains space on the queenside and prepares the advance c4-c5. The idea is to create tension which will be unpleasant for Black. 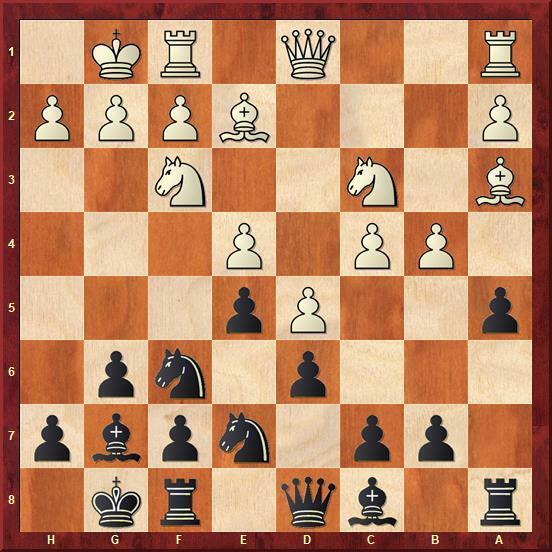 Black will typically try to create a play on the kingside by preparing ...f7-f5. 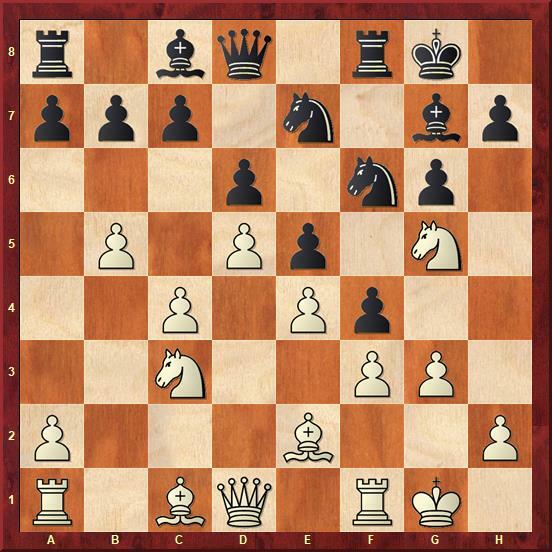 One of the benefits of the Bayonet System over the 9.Ne1 line is that Black has to be cautious for not allowing Nf3-g5, followed by a jump to e6, after which the knight has to be exchanged for Black's light-squared bishop. In the course of such events, White has good chances of exploiting the weakened light-square complex. In this chapter, Ernst takes a look at all the alternatives to the most frequent choices that Black has at his disposal. 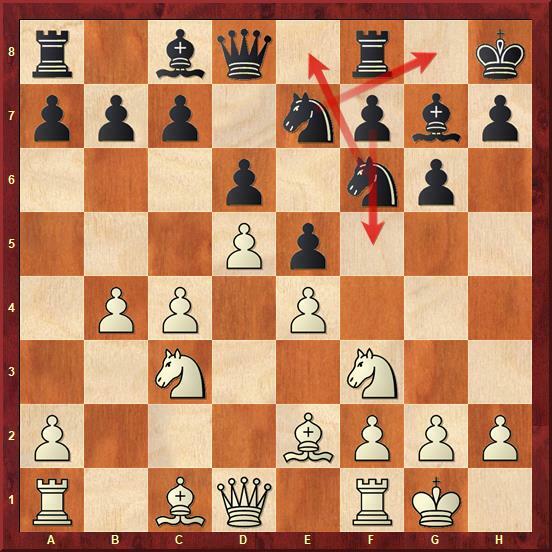 The move 9... Kh8 is probably the best option as it comes in handy in many lines. This is a specialty of the British Grandmaster Mark Hebden. Black evacuates the g8-square for the knight and sidesteps any tricks that might happen later on the a2-g8 diagonal. The Dutch grandmaster analyzes some other alternatives for Black on the 9th move: 9...h6? !, 9...b6? !, 9...a6? !, 9...c5? !, but they are not challenging at all and White achieves an advantage. With this move, Black stops the advance of c4-c5, but it also somewhat goes against the principle of avoiding pawn moves where the opponent is the stronger side. There is a high number of options for White here, but I think that the most principled is to play 10. dxc6 when after 10...bxc6 (10... Nxc6 is probably a better move, but after 11. a3 we reach relatively simple positions in which White enjoys a better pawn structure, and Black can hardly hope for an active play) we reach a position which is not the King's Indian dream for many players on the Black side! White just follows with 11. Bg5 when Black experiences problems with his backward d-pawn. Chapter 3 deals with the move 9... Ne8, which is the favorite of Nakamura and usually leads to a very sharp play. The good news is that White has the better chances. In his analysis, Ernst suggests 10. a4 f5 (10... a5 11. Ba3 axb4 12. 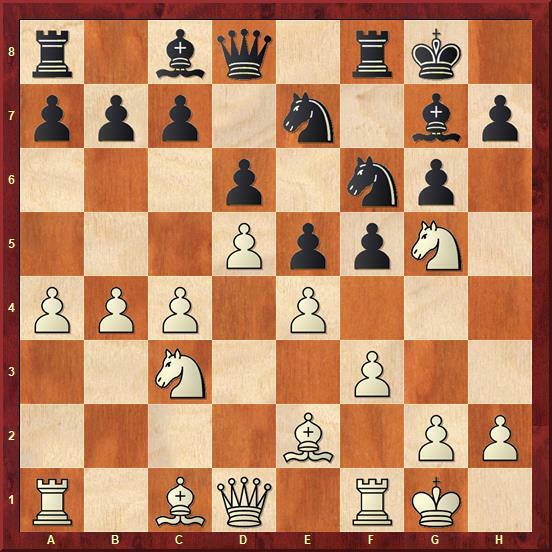 Bxb4 b6 transposes to a line where White has good prospects and is discussed in Chapter 9) 11.Nd2 Nf6 12.c5 when Black usually goes for 12...f4 after which the battle will continue on both flanks. White's attack is faster, and because of that, the line is dubious for Black. This chapter deals with a line which looks similar to the one covered in the previous chapter. analysis shows that White has the better chances in this line. - 10...Re8!? 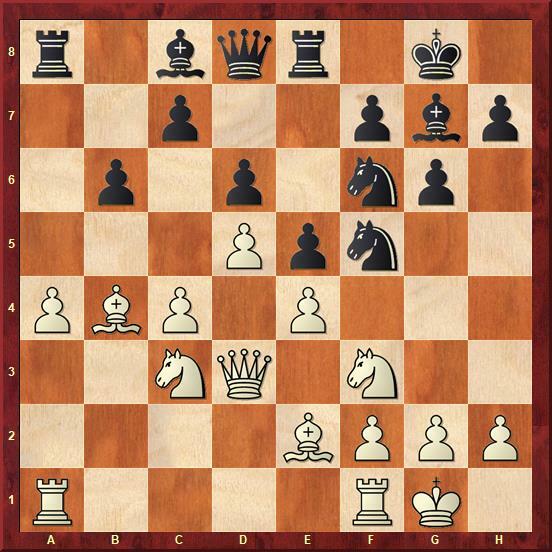 was used by the strong Icelandic GM Hjartarson to beat GM Pavel Eljanov, but in the analysis, GM Ernst shows the right way for White to continue. 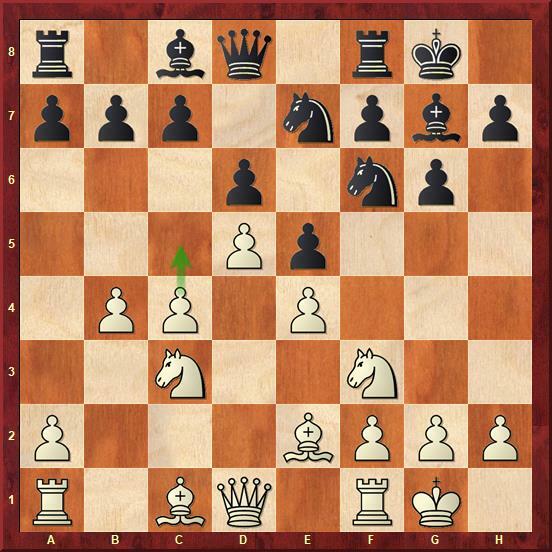 - 10...Nh5 - an interesting option which mixes up the two main ideas, but as GM Ernst shows White keeps better chances after the straightforward 11.c5! This chapter deals with the move 10...b6. This move is not as popular as it once was, but there is a certain logic behind such an approach. Black wants to hold up the c4-c5 advance as long as possible. But there are also some disadvantages. You may already be familiar with the rule that one should avoid making pawn moves on the side of the board where the opponent is stronger. In this case, White will use the b6-pawn as a hook to break down the queenside with a4-a5. 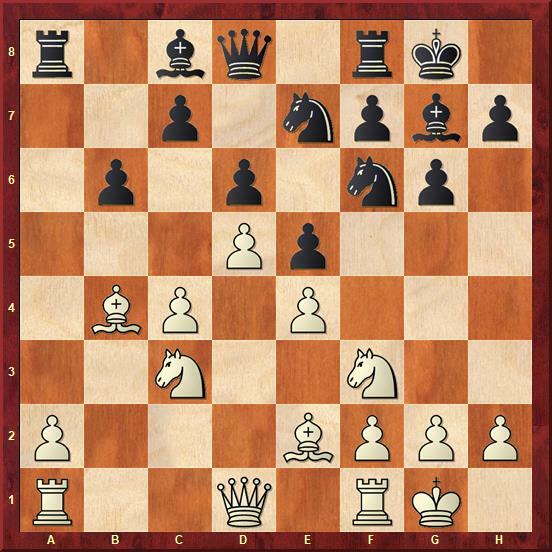 The model game here is Pelletier - Nakamura (1-0) which continues 11.bxa5 Nh5!? 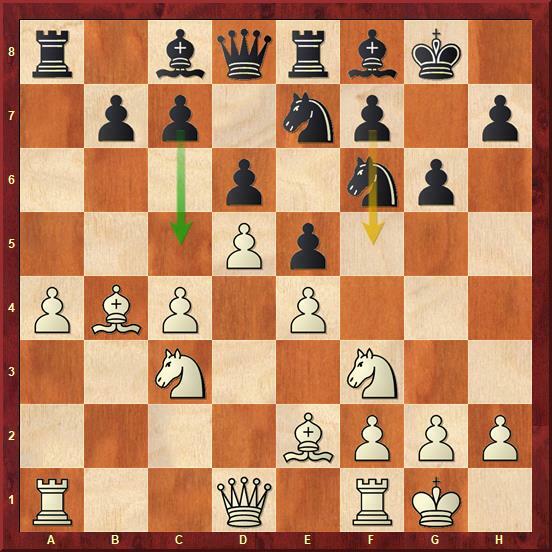 (the favorite move of GM Ilya Smirin) 12.Nd2 Nf4 13.axb6! White is sacrificing a piece but manages to break through on the queenside. This sharp position seems to be in White's favor and Black has shifted to other options. In this chapter, the author starts dealing with the main line after 9.b4 a5 10.Ba3 axb4! 11.Bxb4 - this position will be the subject of this and next two chapters. A very interesting option for Black is 11...Re8 which recently comes to fashion. This is a critical position and one that has given me a lot of headaches. There have only been 11 games so far with this position (Black scored 6,5 points) but I expect many more to come. Black is going to play ...c7-c5 and after the queenside is closed slowly prepare ...f7-f5. How should White compete against this plan? With this move, Black prepares to advance ...f7-f5 and to stop White's c4-c5 break. It used to be a trend line, as the database returns over 1000 games with this position. As always, White should continue with 11.a4 and we reach the critical position. -12...Bh6 - the main move. 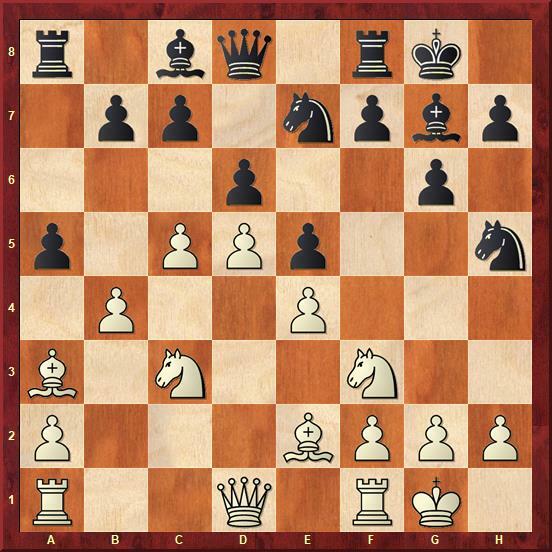 In the database, you will find in-depth analysis for all these moves, but the conclusion is that King's Indian players should be looking more at other ways of handling the Bayonet Attack. Black is trying to slow down White's play on the queenside. The main line continues 12.a4 and now 12...Ne8 or 12...Re8 are Black's main moves. Both moves deserve attention, but the author convincingly proves that White has the upper-hand in these lines. 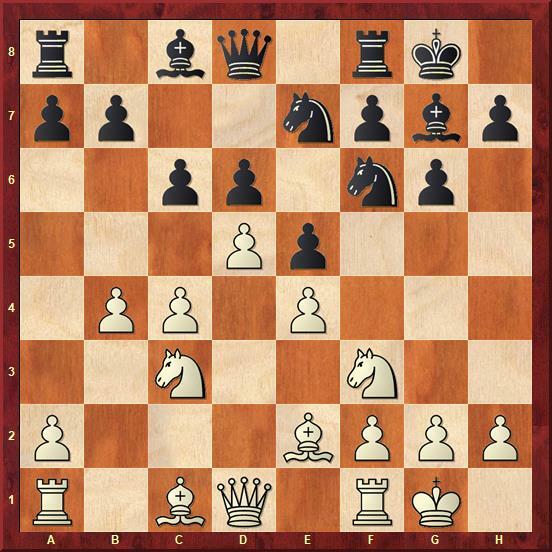 The idea of 12...Ne8 is quite obvious and standard - to prepare the typical f7-f5 break. It is interesting to see the main point of the move 12...Re8!? This move has been known for quite some time but recently it has increased in popularity because of a new idea for Black. The standard 13.a5?! is well met by 13...c5! 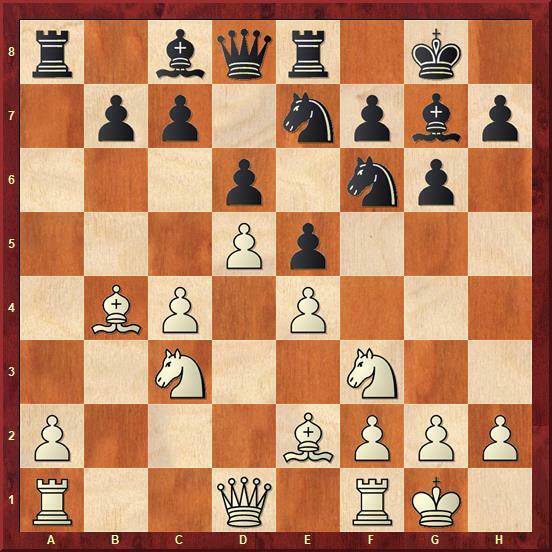 The position is double-edged, but still, White's chances are better after the natural 14.a5. You could call this the old mainline. In my database, it is still almost 3 times as popular as any other move for Black on the move 9 but if you look at all the games from last year, the picture changes dramatically. The author doesn't think that it is because of the quality of the move that 9...Nh5 is dropping in popularity. It is just not a very practical decision to have it in your repertoire. There are too many ways for White to play against this line and Black has to be prepared for all of them. Therefore, it is a huge shortcut to go for 9...a5 instead. 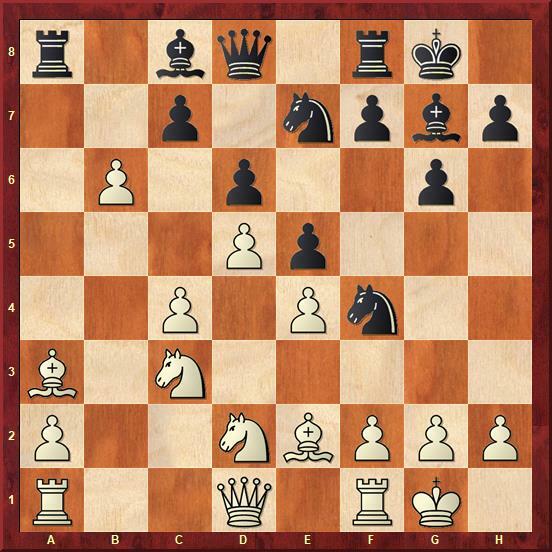 In this position, the main move is 10.Re1, but the author suggests the tricky 10.g3!? Here is how he explains his choice: I have chosen this move as it looks to me to be the most interesting. The mainline continues with 10.Re1, but I think this line has already been analyzed so well that it is difficult to come up with any new ideas that will shake the evaluation of the line. Of course to play 10.g3 is a bit double-edged, because yes, we are now controlling the f4-square, but the downside is that our kingside is now slightly weakened. The move has many followers though, and most notably Kramnik, Gelfand and Van Wely helped to advance this line. After this move, the play becomes incredibly sharp and forcing. 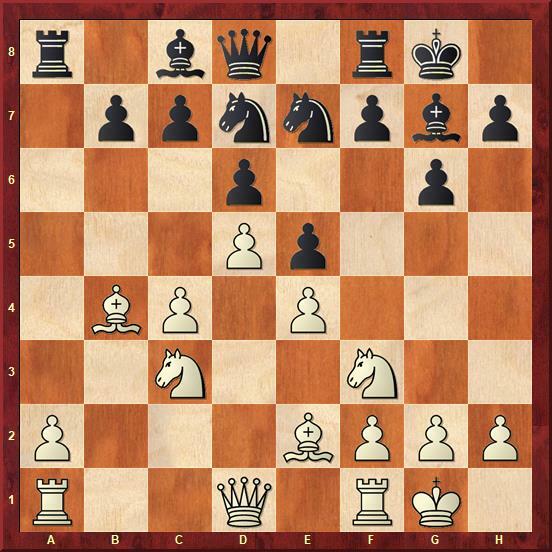 This move is advocated by the strong Dutch GM Loek van Wely, and he scored some impressive wins in our line. The best Black can do is 12...f4 and here White's most popular move has always been 13.Kg2, but GM Ernst is advocating the more aggressive 13.b5!. 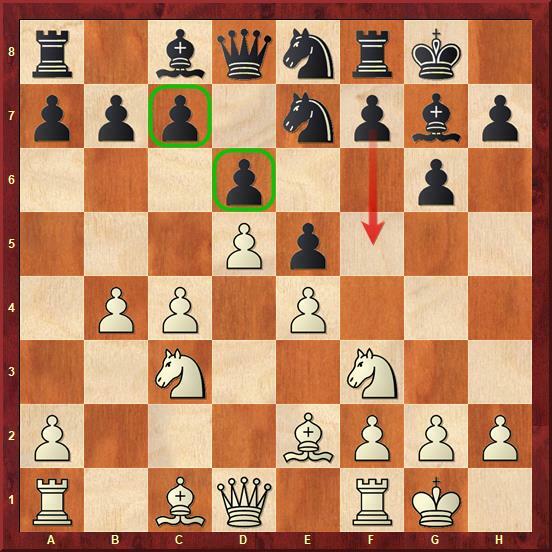 White's results have been quite good in this line and in the annotations to this chapter prove that Black is walking a tightrope.